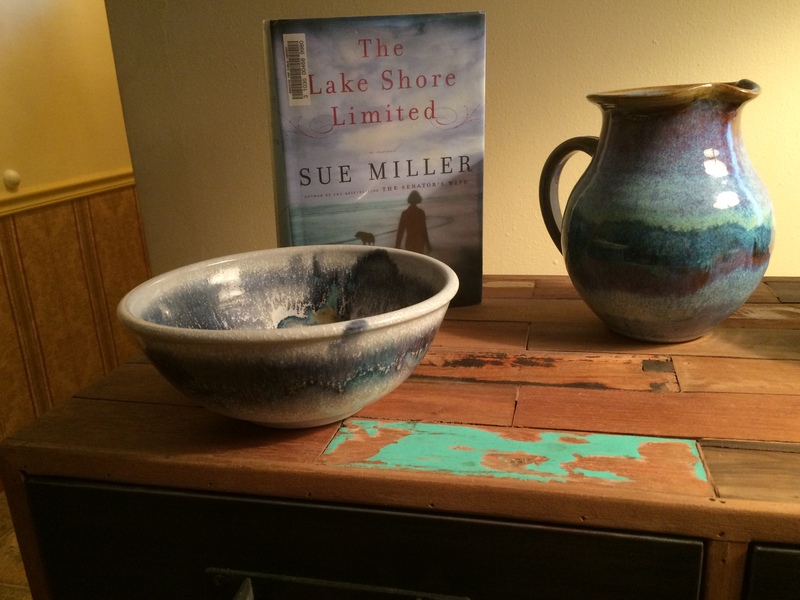 Sue Miller The Novelist Got Me Thinking: Uh-Oh! Who am I? Deep inside, I mean. For that matter, who are any of us? Man, those are questions I don’t think about too much. They make my head spin. You wouldn’t think they would, though, considering that my college major was psychology, some of whose branches attempt to help humans find answers to such concerns. I liked my psychology courses, and did pretty well grade-wise in them, but I guess that psychology and I never clicked meaningfully enough. We didn’t waltz together as a loving couple. At no time, then, did I see a psychology-based future for myself in my crystal ball. In fact, sad to say, when I gazed deeply into that glass hunk I didn’t notice any future career at all. Alas, with college degree in hand following graduation in 1969, I trod a long and winding road halfway to nowheresville, scrambling with little sense of direction to find steady employment and a decent-paying job. Oy vey summed up my situation and prospects nicely. Thank the baccalaureate gods above, the ship began to right itself a number of years later, the proverbial pieces starting to fit together. And in the end pretty much everything worked out quite attractively for me. But looking back on it all from five decades later, maybe I’d have found steady employment and a decent-paying job a whole lot sooner had I been more attuned to examining and answering the foreboding question, “Who am I?”. Not to mention another question, to which we’ll turn our attention shortly, that wasn’t at all on my radar screen in those days of yore. In any event, here I am today, rolling “Who am I?” and its like around in my brain because of a novel I snatched off the shelf in a local library a few Fridays ago. Not paying attention to the hour of the day, I arrived at the library only 10 minutes before closing time. I realized this when the lights began to flicker, a signal to pack up and get out of Dodge. Determined not to leave empty-handed I moved quickly down the fiction section’s M aisle, which is where I was standing when the lights started doing their thing. My eyes darted here and there and landed on books by various Millers. Should I try something by Andrew Miller, whom I never heard of but whose volumes were emitting vibes that appeared to be meshing happily with my own? Or one of Henry Miller’s opuses, HM being a hip and bawdy cat I’ve plenty dug over the years? Nah, I wanted a female author. In the intellectual, not the carnal sense. Which is why I grabbed a few of the novels by Sue Miller off the shelf and scanned the synopses on their inside covers. I knew of Sue, she of the bestselling The Good Mother and The Senator’s Wife, and made my decision pronto. Home I went with The Lake Shore Limited sitting beside me in the car. Sometimes you win, sometimes you don’t. In this case I won, because The Lake Shore Limited is a fine, fine book. If you are in search of a handsomely-wrought creation whose characters act and talk and think believably, it might be for you. 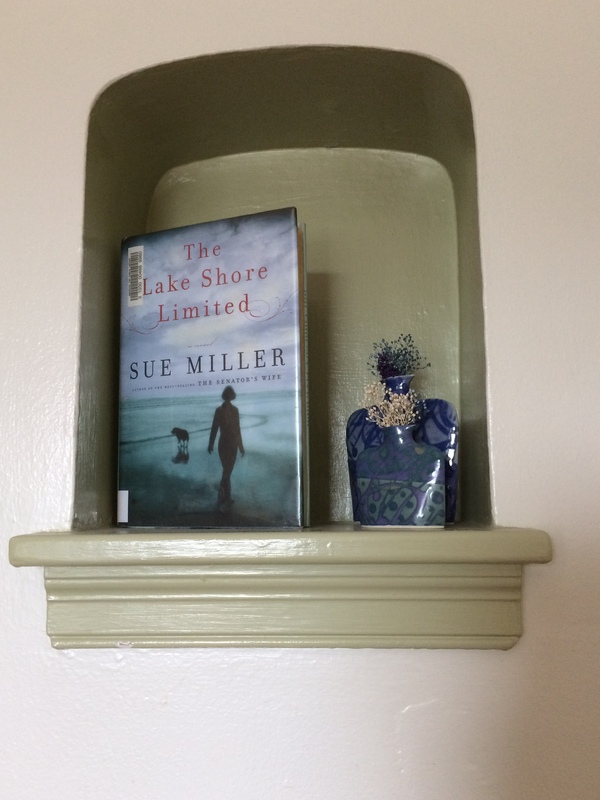 The Lake Shore Limited not only is the name of Sue Miller’s novel, it also is the title of a play set within the novel. What’s more, it is a real-life passenger train that connects Chicago with several cities in the northeastern United States. The play, which is seen through the eyes of various characters in the book, is the novel’s fulcrum. Its powers cause them, including the play’s author, to take good, hard looks at themselves and in some cases at those in their immediate orbits. All find within the play circumstances that resonate with or parallel their own lives. Wilhelmina “Billy” Gertz, the novel’s main character, is a playwright living in Boston when the book opens. The year is 2007. Her latest product, The Lake Shore Limited, is in performance at a small Boston theater. And gaining strong reviews. Billy felt compelled to write the play, which she battled with for years trying to discover what she really wanted to say, because her once-boyfriend Gus had perished in one of the planes that demolished the World Trade Center on 9/11. Billy’s play tells a tale of an emotionally-numb man, Gabriel, waiting for Elizabeth, his wife, to return from a trip. She is travelling on The Lake Shore Limited. For many a moon, he and Elizabeth have not exactly been the happy couple. In no real sense are they together. But life can change fast. The Limited has been targeted by terrorists, bombs ripping through it as it reaches Chicago’s Union Station. Gabriel’s soul-plumbing, while he waits to learn of his wife’s fate, reveal him to be more alive than he or the play’s audience expected. Moving back and forth in time, Miller lays out the lives, past and present, of Billy, Leslie (Gus’s sister), Rafe (who portrays Gabriel in the play), and Sam (Leslie’s friend and Billy’s pursuer). We view events and encounters through their differing perspectives. And we learn that each character often isn’t too certain of the solidity of his or her perspective to begin with. Which, to me, sounds like the way things are in real life. That’s one reason I enjoyed The Lake Shore Limited as much as I did. Its players come across as true flesh and blood. Miller’s novel also is layered delicately and precisely, which makes it rich. And ripe for discussion. Care and concern, unbridled love, grief, selfishness, infidelity, deception . . . these primo examples of the human stew are on full display in the novel. Maestro-like, Miller elegantly weaves these themes and emotions through her pages. Not to downplay those just-mentioned examples, two of the things that have stuck in my mind like glue about The Lake Shore Limited even more are the “Who am I?” question and another question with which it goes hand-in-hand. Miller doesn’t dwell on them, but I felt them running as undercurrents in her novel. Billy, for instance, thinks of herself as a semi-loner. And, I believe, she knows that not only is it her insecurities that lead her in the loner direction, but that trying to overcome them by adopting a less-defensive approach to life might result in a jump in her happiness quotient. Billy and Sam . . . I can relate. We homo sapiens are emotional and malleable creatures, open to improvement and expansion, and vulnerable to blows. Yes, “Who am I?” is a biggie as questions go. But even if you find the answers to it, you’re not going to bloom enough if you don’t get around to examining, and acting upon, “What sort of person do I want to be?” too.